Heavy-barrel accuracy to start your AR build. High-quality components for a high-quality AR build. 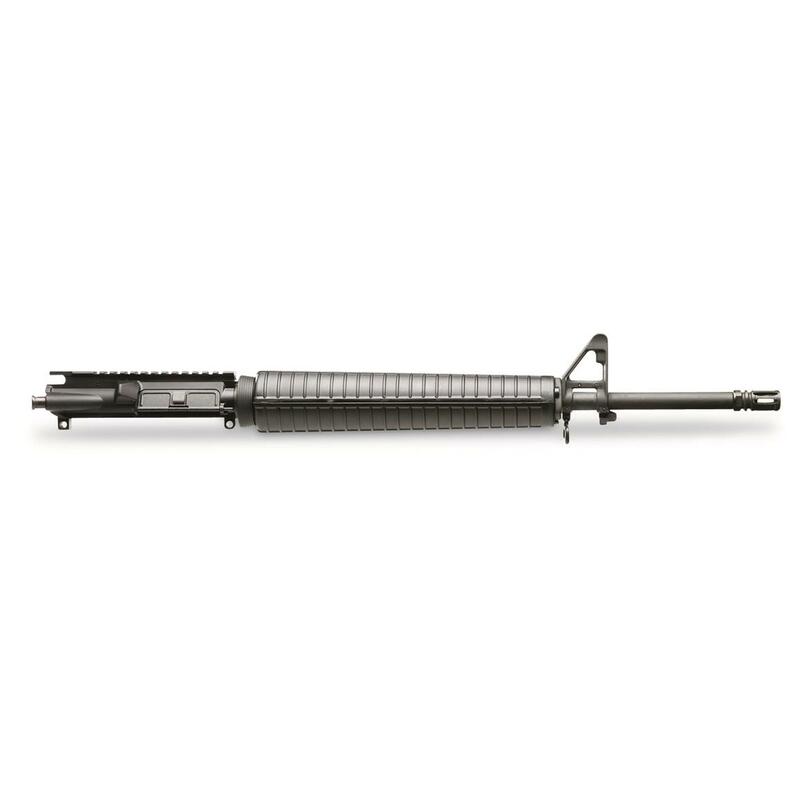 Everything here is ship-shape…from the premium 20" HBAR barrel to the 7075-T6 forged upper receiver. Quality-made right here in the USA. DoubleStar 5.56 NATO/.223 Rem. AR Upper Receiver Less BCG and Charging Handle, 20 HBAR Barrel is rated 5.0 out of 5 by 3. Rated 5 out of 5 by kazz from good price stuck in a bolt and carrier and a charging handle. slapped on a rear pop up sight. stuck it on a lower i had laying around. took it to the range to sight it in. after the first 3 shots i already knew i had to do nothing. dime sized group at 50 yards. shot a hundred or so more rounds through it. not a hick up. this is a nice upper! Rated 5 out of 5 by Butzerik from Great product finish is great . Rated 5 out of 5 by AR Master from Very good quality. I've shot a good 500 rounds not one problem.Will buy again.